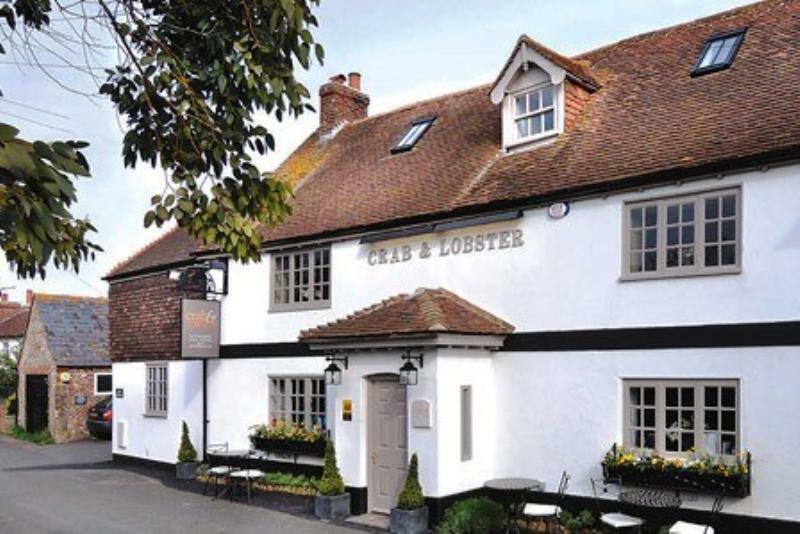 The Crab & Lobster at Sidlesham is a 350 year old inn which has been transformed into a stylish restaurant with rooms. The contemporary dining room is welcoming with flagstone floors and fireplaces, together with a terrace that overlooks the beautiful countryside for al fresco dining. The menu is sourced from local producers, Selsey fishermen, neighbouring dairy farmers and Sidlesham beekeepers for honey at breakfast. As you would expect from the name, The Crab & Lobster, seafood is a big player on the menu, but there are traditional English and Mediterranean dishes to tempt as well. You might begin with Selsey crab and crayfish wrapped in smoked salmon and topped with Avruga Caviar or pan fried pigeon breast with crisp black pudding served with crushed garden peas and sherry vinaigrette jus. Moving on, choose oven baked fillet of kingfish served on basmati rice with pak choi and satay sauce or duo of Gloucester Old Spot pork belly and braised cheek with rosti potato and a carrot and cardamom purée. There is a fabulous wine list with seventeen classics offered by the glass.